Who are the influencers of the Italian politicians? 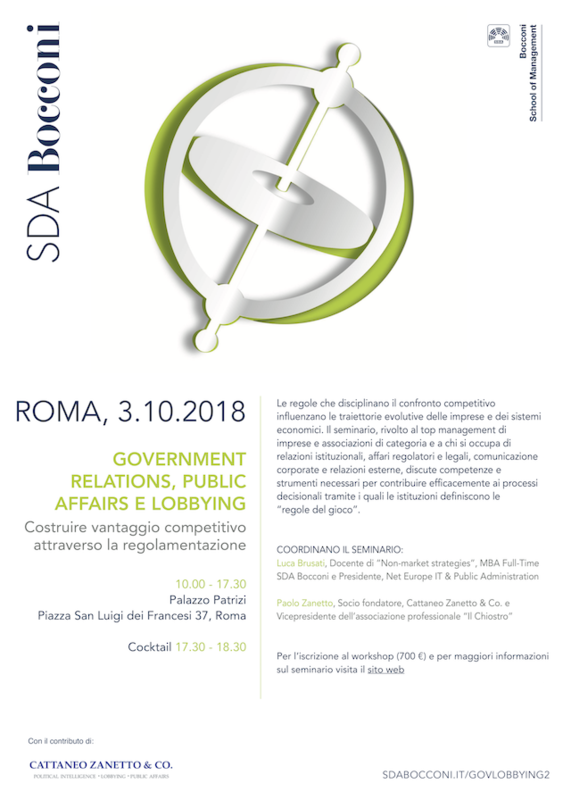 Cattaneo Zanetto & Co. developed a report for Il Sole 24 Ore newspaper based on the politicians’ behavior on social media. This behavioral analysis on Italian politicians leads to a more in depth the decision-making process. By finding who are these influencers we’re able to enter into the hidden mechanisms of the Italian political agenda. 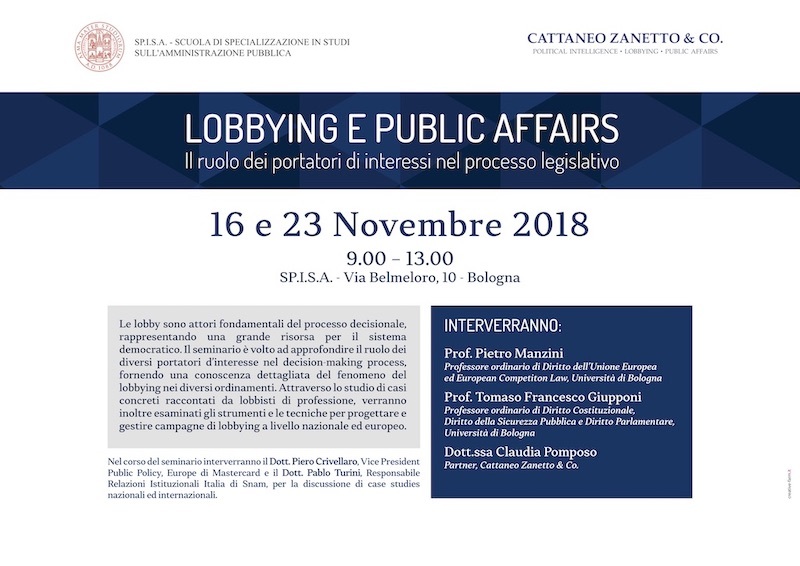 Once again Cattaneo Zanetto & Co. is the market leader in Italy for lobbying and public affairs services. 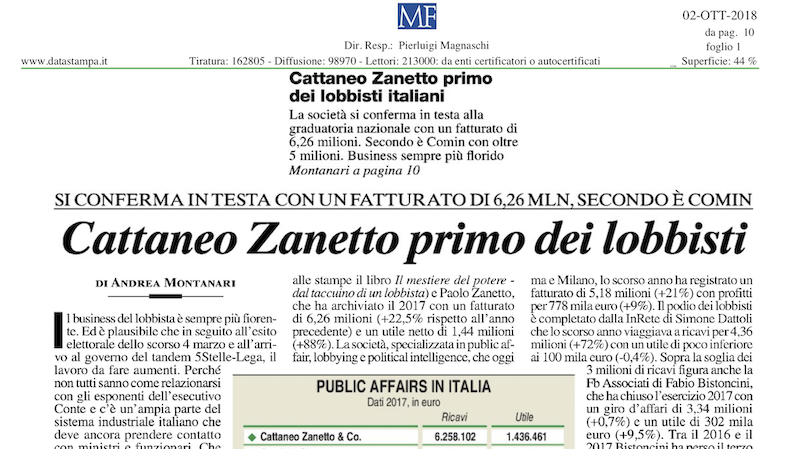 According to the analysis provided Milano Finanza, in FY2017 Cattaneo Zanetto & Co. ranked at the top of the list, with a strong grow in professional fees. Download the full report (in Italian).